The Universe treated us in Shell Beach on November 14, 2012 when the California Coastal Commission gave a unanimous thumbs-down to PG&E’s permit request for seismic testing that would have decimated marine life. Entry filed under: Celebrations. 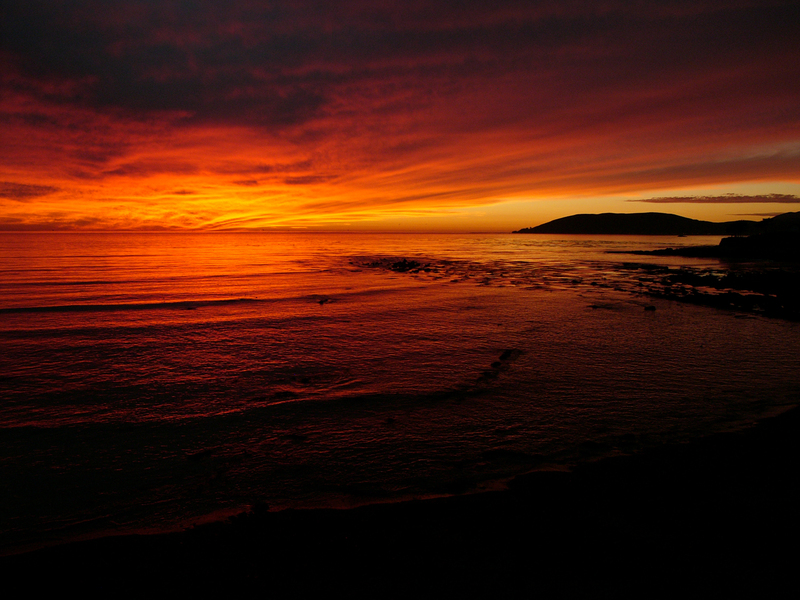 Tags: California Coastal Commission, PG&E, Shell Beach, sunset. Beautiful photo. Wonder how much of the color came from the smoke still lingering from the Montana de Oro Controlled (well, not-so-controlled) burn? Hard to tell. The first night of the burn when there was a lot of smoke in the sky, the sunset wasn’t red at all. The sun went into a black sack, actually. The smoke was so dense, you couldn’t see the orb. This is from the 2nd -or maybe 3rd? – night.